I know you guys know I love just about anything French, but vintage French bread boards are something that I kind of stumbled on in terms of collecting. I don’t even remember where I first saw them, or what made them call my name, but they did! They are plain, and worn out, and definitely unglamorous, but wow, do they have character. They’re something my mother would probably think belongs in a garage sale (haha! ), but I just adore them. Actually, I like any bread boards, even new ones, but the old French ones are particularly special. They are usually quite worn, with an amazing patina that comes from years and years of use and handling. I love the texture they add wherever you display them. However, once I fell in love with them, I found out they are somewhat rare, and not cheap! (Story of my life: whatever I decide to collect always seems to be expensive!) So, slowly but surely I’ve been looking and hunting and have found a few so far. I have found that the German and Eastern European ones are slightly less expensive, and though they aren’t quite as pretty, I’ve bought a couple. I’m mixing them in with the French and that way, saving a little money. But luckily for me, I’m going to France next month and I’m hoping (praying!) that I find some at a somewhat reasonable price (UPDATE: I did find two great ones when I was there for so much less than here! I kept telling my husband what a deal they were, and he was like, “Yeah, only $50, plus that $800 plane fare!”) Why does he not share my enthusiasm for these things?! 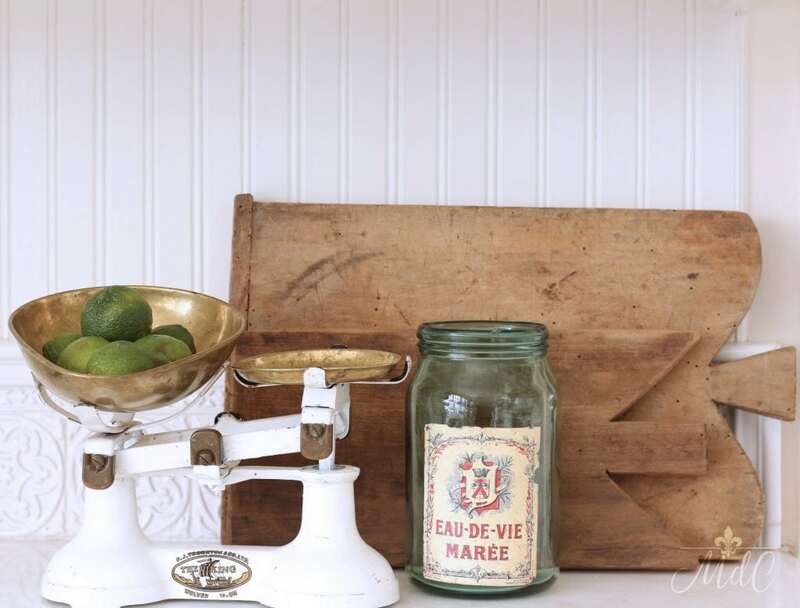 This might be one of the prettiest uses of vintage French bread boards ever photographed! I love that they are the artwork in this breakfast room. Also, the large size of them makes such a statement! By Brooke Giannetti. So simple and cute. Love the shape of this one! Design by Barbara Westbrook. Here one is used on the island to feature a vignette. Via Debra Hall Lifestyle. A vignette I created on the kitchen table recently. Here they were used to fill that empty space above the sink. And I love that unusual board with an initial on it! 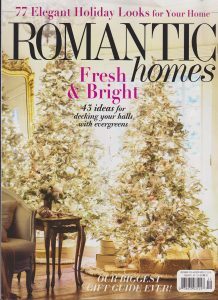 Via Renovation Style magazine. So gorgeous! Via Dreamy Whites. A little vignette I did on the counter last month. These two are the ones I brought home from my trip to Provence! Hanging on the wall. By stylist Kara Rosenlund via Inside Out. A large grouping of stacked vintage French bread boards by designer Jane Moore. Via Veranda magazine. This is Brooke Giannetti’s previous home. Seems she liked them even then! I love them mixed with all the silver and ironstone. 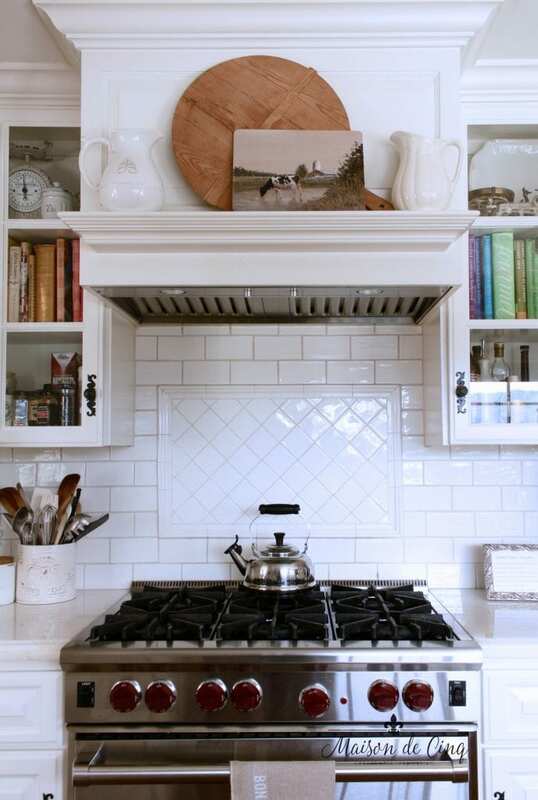 One of my favorite places to display them is on my range hood mantel. This one is Eastern European, probably German. I love the cross strap wood look of these! A display I did last fall in the kitchen. 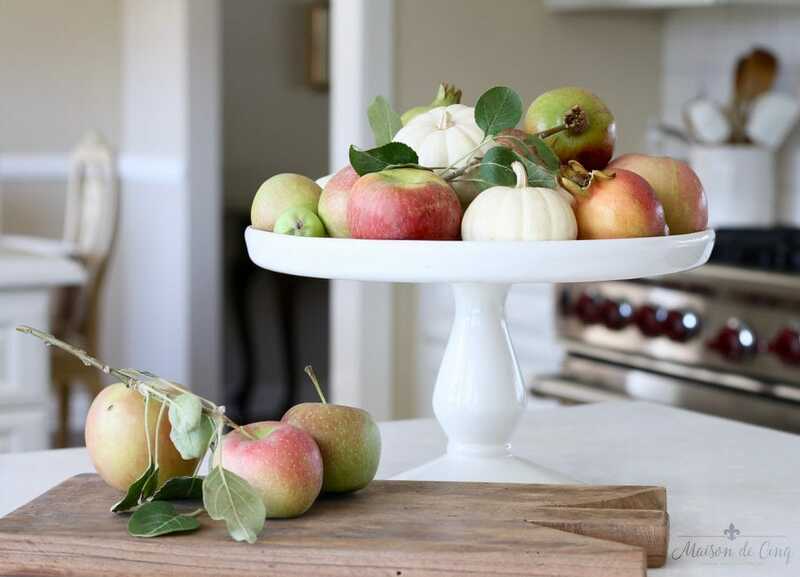 Whether you stack them in the kitchen, hang them on a wall, or lean them on a mantel, they add tons of vintage charm and French farmhouse style. 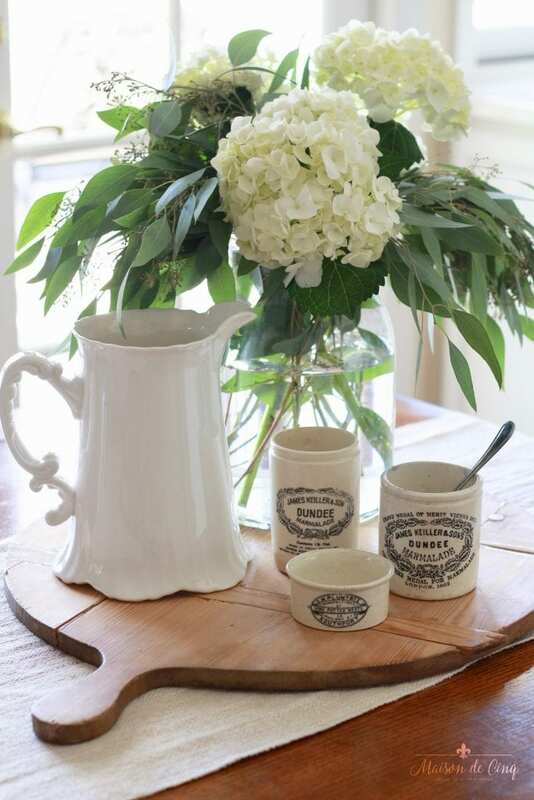 I especially love displaying them in a kitchen vignette, or even using them to serve bread and cheese. And they mix well with their French cousins, demijohn bottles and vintage baskets! 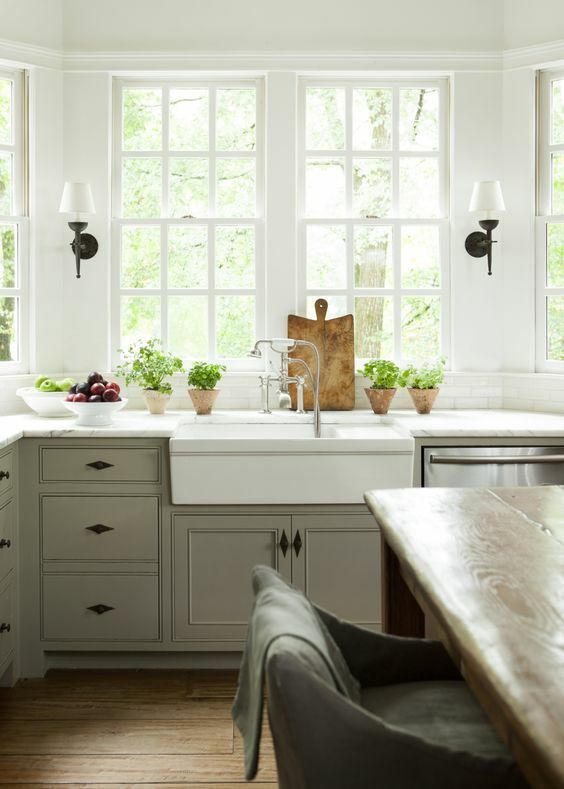 For more inspiration, see my post on French farmhouse kitchens. I’ve sourced some great French ones for you below. But since they can sometimes be more expensive, I’ve also listed some reproductions and European ones (from other countries besides France). There are great options out there to create the same look even if you don’t want to break the bank! I just recently purchase a french bread board. I want to hang it on the wall, however, it doesn’t have a hole in it to hang and I still want the ease of taking it down to use. I noticed in the pictures above you had one hanging, how did you mount it? Hi Becky! So happy for you that you just bought one – they’re so great! As far as hanging, the only hanging in the photos does have a hole in the handle at the end. However, depending on how heavy yours is, you could do those Command Strips or something like that. However, then it would need to stay up. You could also add a small shelf or ledge and lean it, which is where I have mine and how a lot are in the photos. I think if I were you, I’d probably drill a hole in the handle so that I could hang it! Either that or do a ledge. Good luck with it, and thanks so much for stopping by! Just gorgeous! Thanks for all the inspiration! I love my French bread boards in my kitchen too. They make such a beautiful statement against all the white. I love them in your kitchen!! You know your kitchen is one of my favs anyway:) And it’s so true! 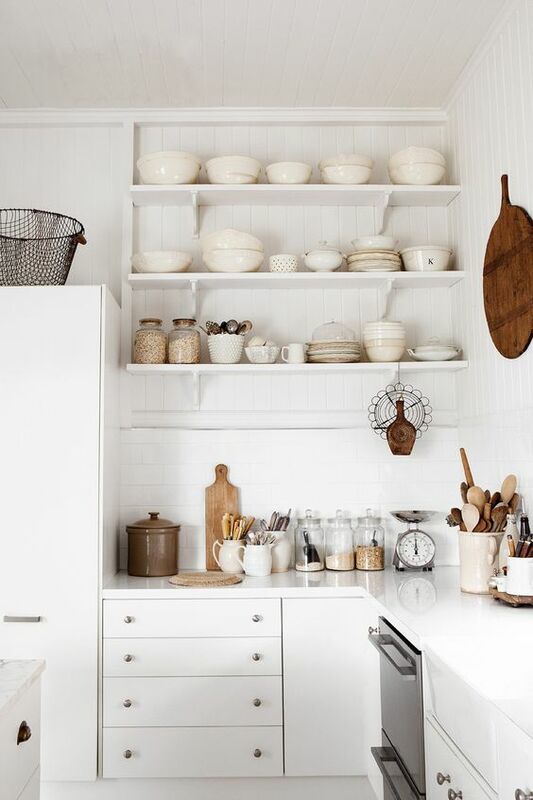 I adore the warmth and texture that all the pale woods bring to a white kitchen. I cannot get enough and hope to find some more in my travels. I have several sizes and shapes of bread boards but all are reproductions. I use them mainly for cheese or fruit trays when entertaining. I love the character in the old ones though and knowing they were used by someone long ago. 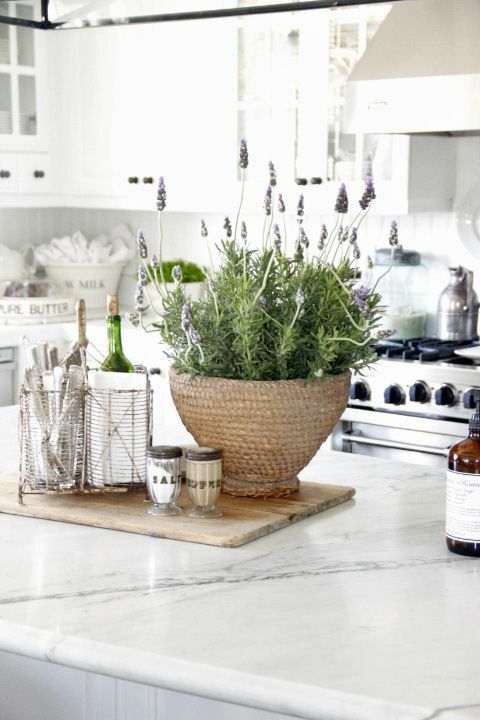 There are many more ways to add character to your hone presented here. I love that you use them Joanna! That’s the key, I think, to getting new ones to age, just use them! And I agree, the character is really the best part. But that’s why I sourced some new ones as well as the vintage, so some people can buy new and make their own character. I love love love this post. 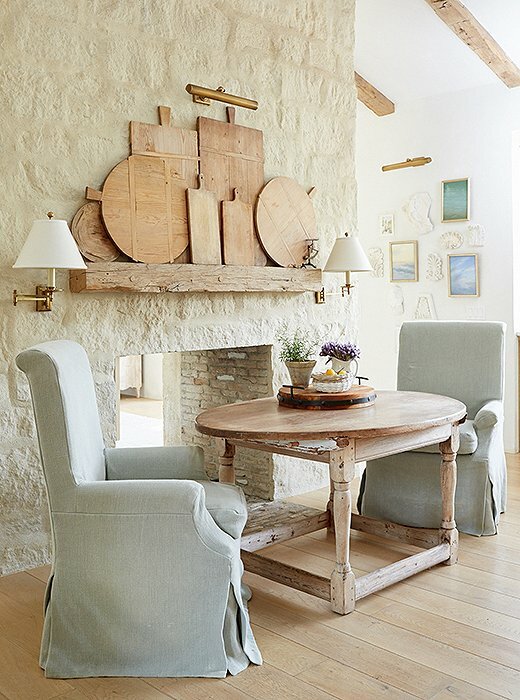 I love all the ways you showed to decorate with the french bread boards. It is gorgeous to see the natural wood with all the whites. So pretty. Happy Friday. Have a great weekend. Aww, thanks so much Kris! I love them too! 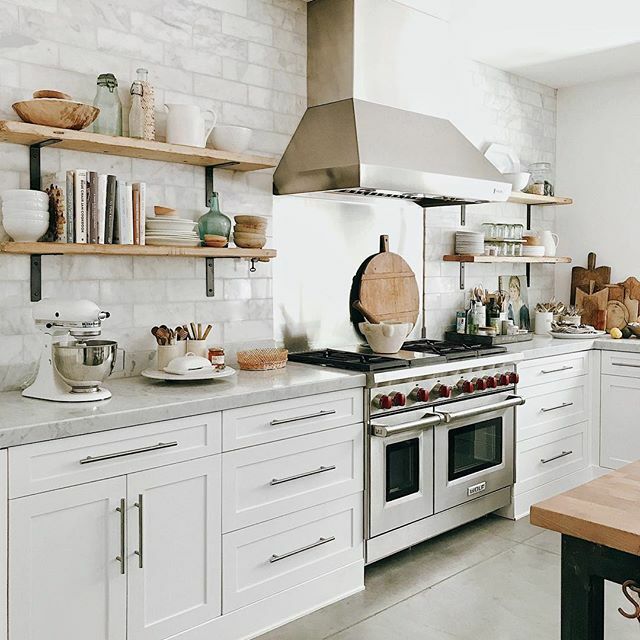 And I feel the same way – the wood looks so good against all the white in the kitchens. Love, love Bread Boards…I find that the wonderful antique ones are getting pricier….would love another shopping trip to France! 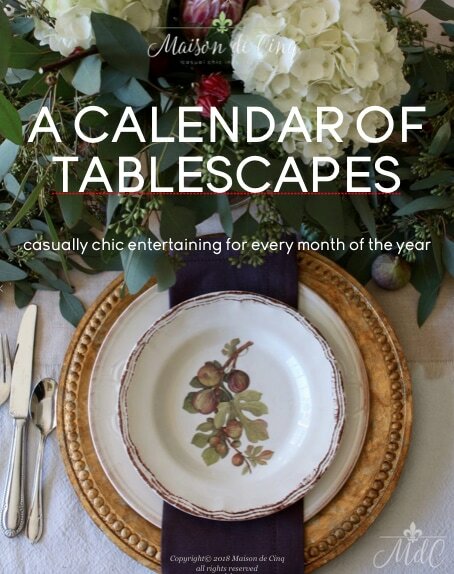 We love your blog, your style and how you so beautifully share your design ideas! Thank you for adding us to your “get the look” section…. we also love French Bread Boards and were lucky to have shipped from France over 100 that had been stored from the 1940’s when a large industrial bakery closed right after the war. We love each and every one…. as do our customers. Thank you again and Happy New Year! Thank you so much Shelli! Your bread boards are gorgeous and exactly what I love! 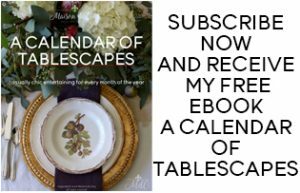 I’m so glad I found you and could introduce you to my readers. Just so much character!! Love them! 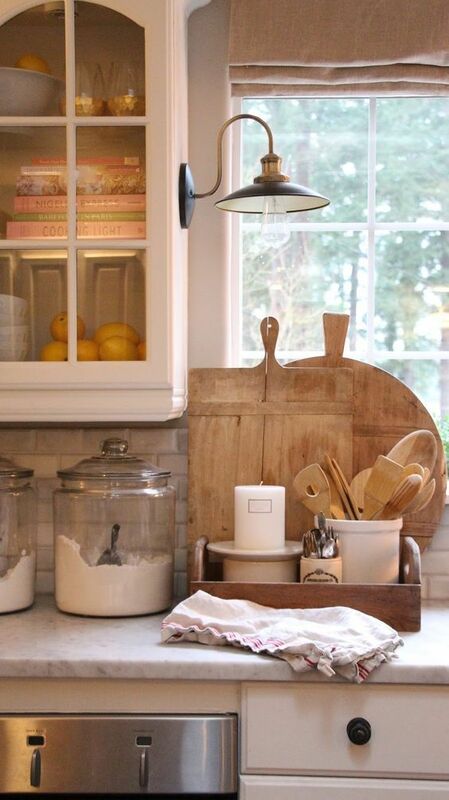 And that mix of silver, ironstone and cutting boards in Brooke’s old kitchen are just amazing!! Can’t wait to hear more about your trip to France!! Isn’t there?! I just adore them! And Brooke is seriously amazing! She was using them before anyone else even thought of it! 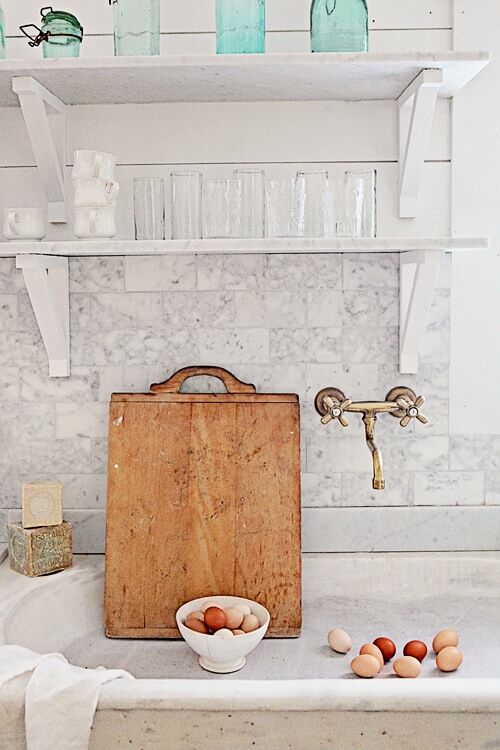 These vintage french bread boards are beautiful! I love the way they were used as artwork on the mantel. Thanks for sharing! How do you tell if it is from France? Of course if you buy it in France you know it is from there. Is there a mark on the ones from France? A shape or style can be reproduced easily, so I am wondering how you know it is a French bread board? Thank you for teaching us. I see many at flea markets and there are a lot of people making them and distressing them to make them look old. You are so right, there are a lot of reproductions out there, as well as ones that are actually from Germany or other European countries. To tell you the truth, unless you really know your stuff it can be hard to tell. But to start with, talk with the vendor, ask a lot of questions. I’m a big believer that most flea market and/or vintage vendors are pretty honest about their stuff. Thanks so much for stopping by, and for taking the time to comment! Have a great weekend! Thank you Sheila! I am going to a flea market this weekend and one of the vendors sell bread boards. I have purchased two from her, and she has pretty ones. I will ask her about them this time if I see one I want. I think one I purchased was a reproduction, the edges seemed too rough compared to the top cutting surface which had a nice patina. I still like it, but wanted old ones only. Thank you for responding and teaching us.